Contrasted against the stark, crater-marked lunar surface, the Earth is seen rising above the moon on Dec. 24, 1968. As Apollo 8 orbited the moon, Earth is 240,000 miles away. The sunset terminator is seen crossing Africa. 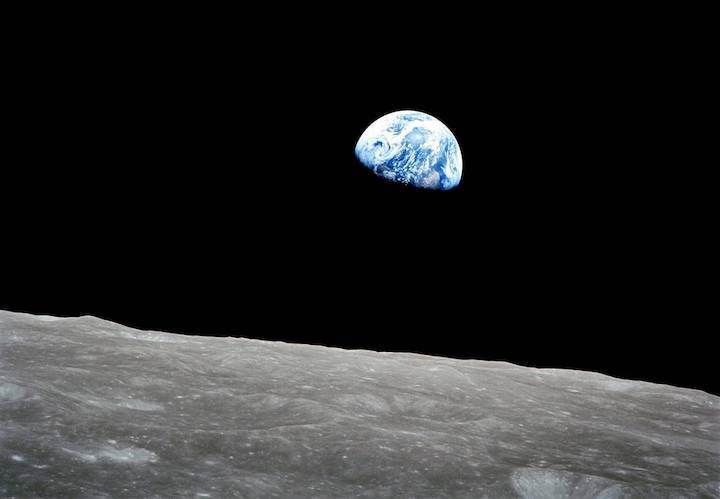 This month marks the 50th anniversary of NASA’s Apollo 8 mission, which was the first to bring humans to another world as they orbited the Moon on Christmas Eve, 1968. Media who wish to attend the event must contact Alison Mitchell at mitchellac@si.edu or 202-633-2376; or Amy Stamm at stamma@si.edu or 202-633-2392.